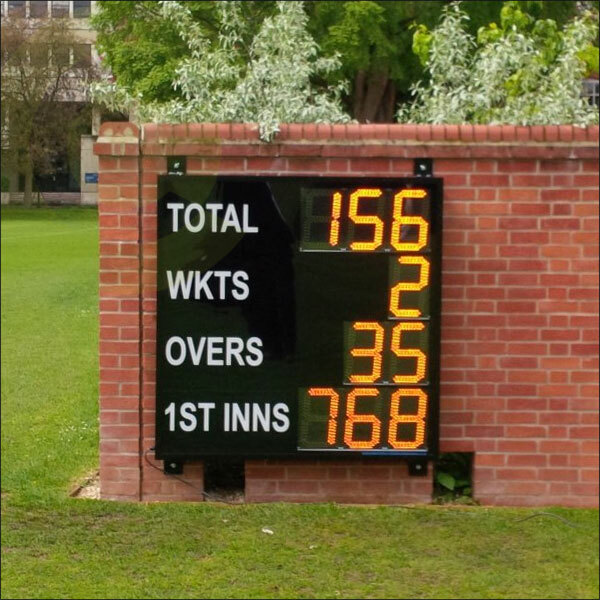 Wall Mounted Electronic Cricket Scoreboard - CRA Cricket UK. Wall mounted and fixed electronic cricket scoreboard. Large digital face with 240v mains power. Wall fixed or mounted onto fixed ground posts. Can be intergrated into pavillions or scoreboxes. Wipe clean surface. Numbers: 320mm high x 250mm. Overall width 1120cm. Overall height: 1220cm.